Rider profile: beginner to expert. 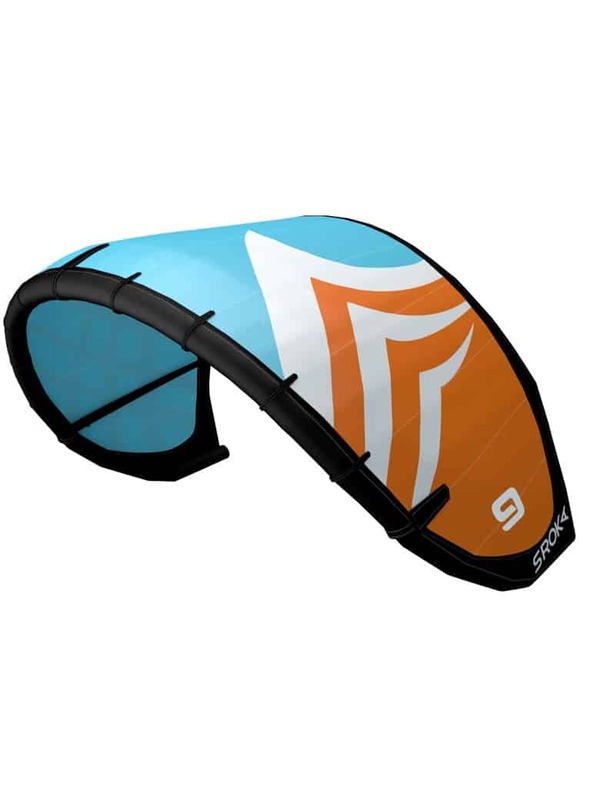 The Kite Ouesk 7 m² is a versatile kite, suitable for kitesurfing disciplines, and all conditions. 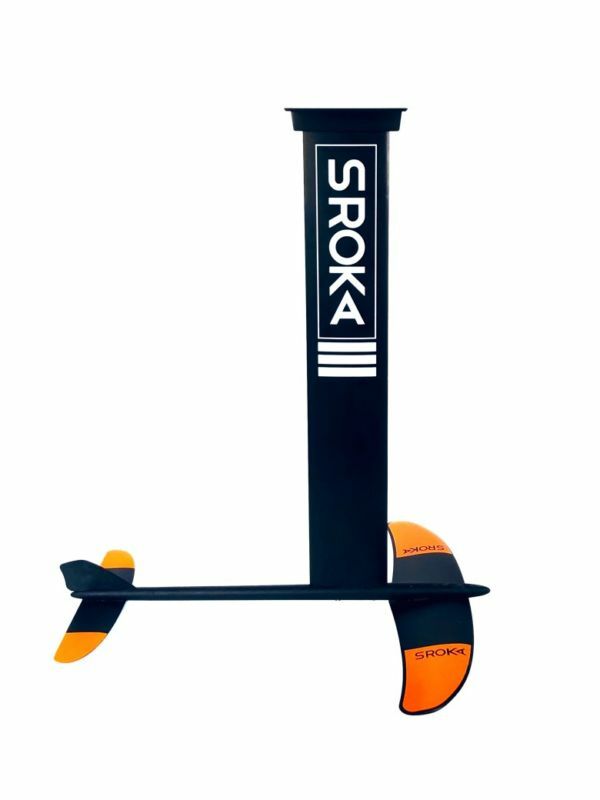 Bruno Sroka and his team used their 15 years of development experience to produce a kite that is easy to use, high-performance and maneuverable, with superb drift, and suitable for all kitesurfing disciplines. 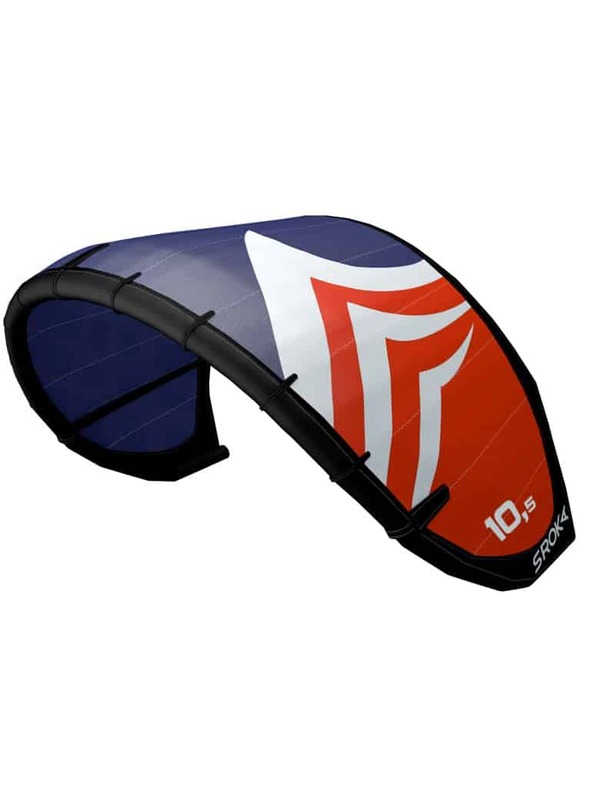 The kite is highly stable in jumps, providing excellent suspension. allowing for easy unhooking. Its ease of use will come as no surprise. This kite has no pulleys in its bridle, thus boosting the kite’s responsiveness and sensitivity. 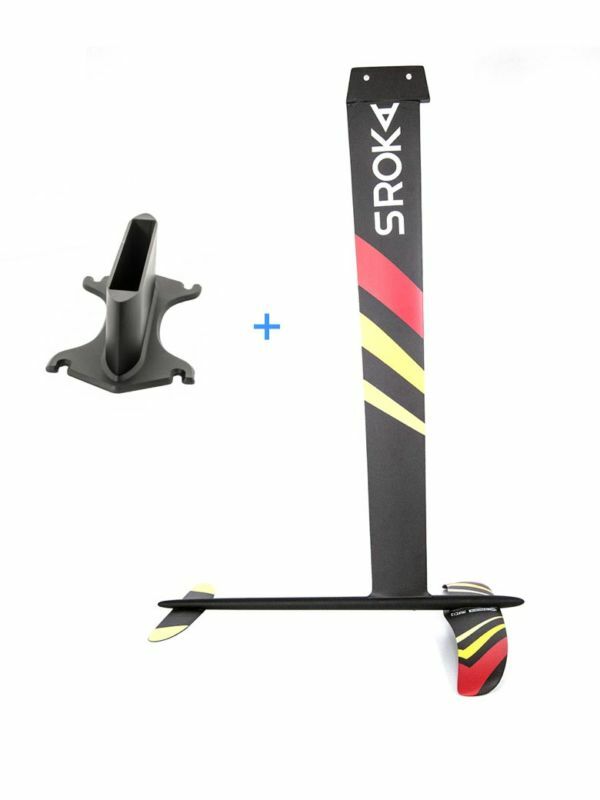 A 3-struts shape will give you maximum lightness, speed and stability in strong winds while reducing the weight of the wing. Kevlar reinforcements guarantee a high resistance to abrasion and thus reinforces the upper surface of the wing during friction. 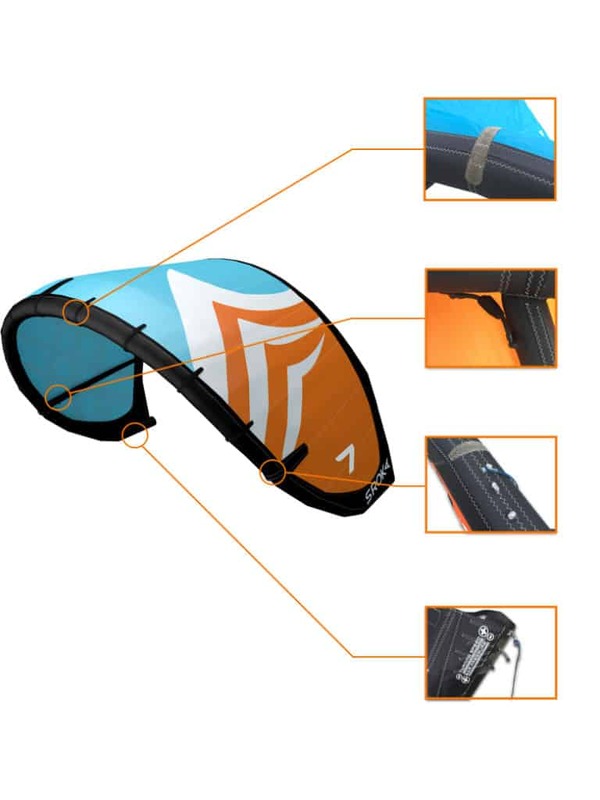 All our wings are equipped with the One Pump technology to facilitate your daily use. To meet all disciplines, we offer 3 adjustment positions on your bridle. The closest point to the ears will be ideal for waves and foil. The central point will be ideal for freeriding. 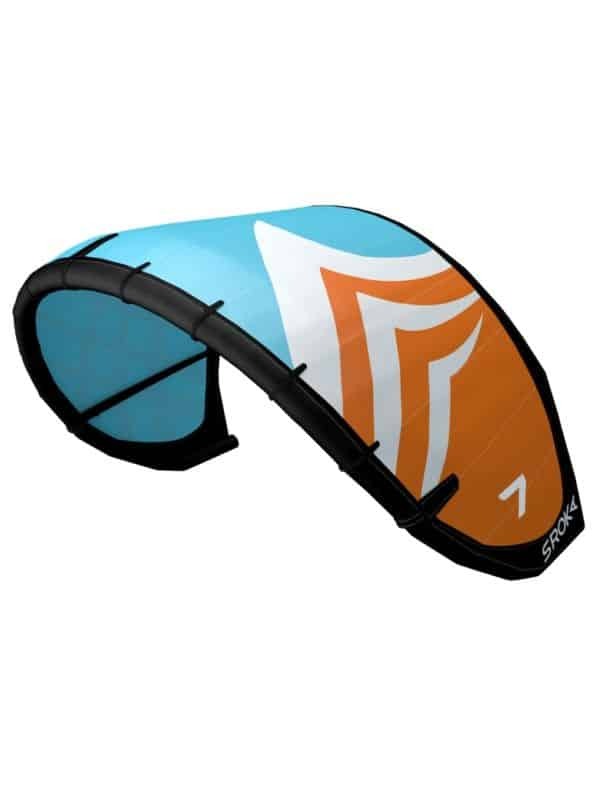 Finally, the closest point to the centre of the wing will be the predominant position for freestyle. 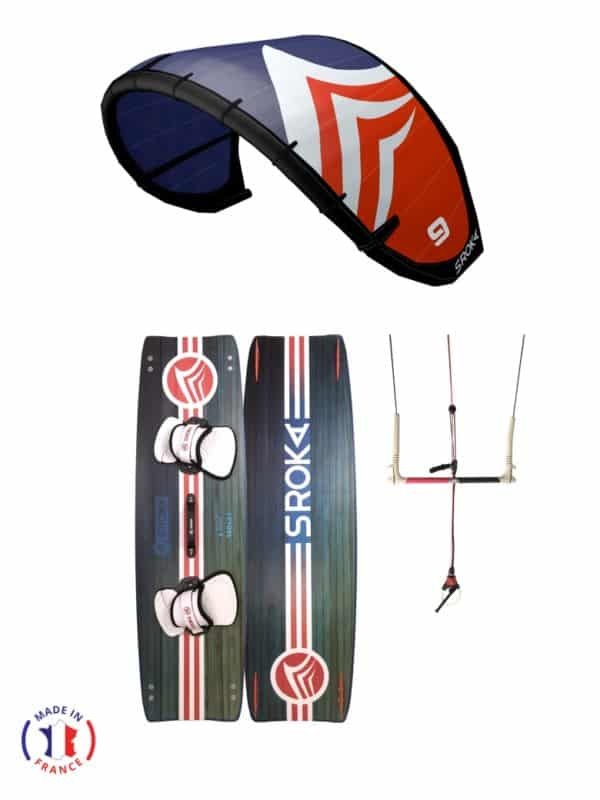 For more control, you can adjust the handling of the sail with the three attachment points on the ears.